Two National Trust properties to visit near Bath. Two of my favourite National Trust properties near Bath. My husband and I are members of the National trust. For any one who is unfamiliar with the National Trust it is the organisation which looks after many stately homes and gardens as well as large swathes of countryside in England. It is a charity and membership fees help pay for conservation and upkeep of the property and land. It is also possible to pay an individual admission fee to each property. I thought I would share two of my favourite local gardens for a relaxing afternoon walk . This house was built in the early 17th century by William Blathwayte who was a friend of William of Orange and had worked in the Netherlands so it has a decidedly Dutch feel. It is particularly noted for its Delft china and Spring Tulip festival. It is on the edge of the Cotswolds and is an ancient deer park. The deer are quite tame and let visitors get close. It has a good play area for children. Dogs are not allowed in the deer park but there is also a separate dog walking area. The roof of the house was recently replaced and last year visitors were able to walk round the scaffolding and see how the house was constructed. 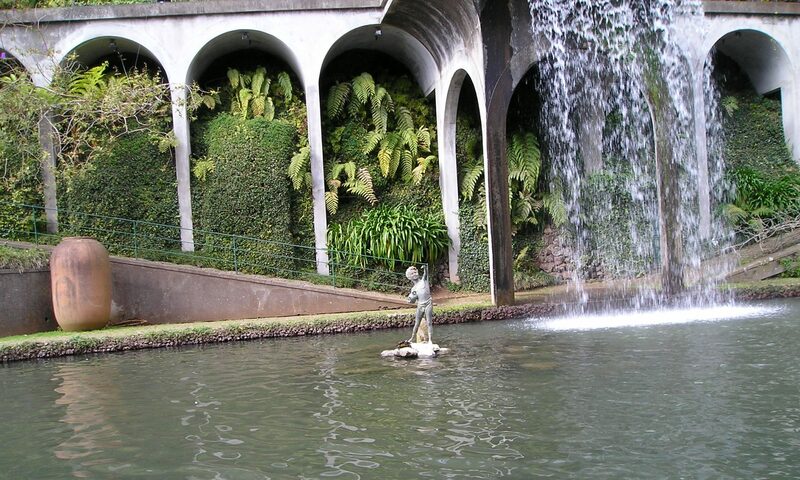 As well as a large park there is a lovely well maintained garden with a lake and newly opened terraces to explore. A free shuttle bus takes people from the car park to the house or you can enjoy walking through the parkland though be warned there are steep hills. It has a good café with out door seating and a large gift shop. The basement also houses a second hand bookshop. This is a link to the National trust website with more details. You will also find details of special events throughout the year. This garden is on a hill above the city and has wonderful views over Bath. The Bath skyline walk starts close by. As there is not much parking nearby we catch the number 2 bus from Bath bus station. It is also served by the hop on hop off tourist bus. The house was owned by Ralph Allen who was associated with the introduction of the 1d post. The landscape garden was partly designed by Capability Brown with some suggestions from the poet Alexander Pope. It has plenty of shady woodland and lake side walks and a small café. The original house is now a college and not open to the public. It is on a steep hill so not suitable for disabled visitors. It is most famous for its Palladian Bridge which is listed on a website as one of the ten most romantic places to propose in the west country. The last time we were there a bride and groom were having wedding photos taken. If you plan to do this make sure you bring suitable footwear as the paths are steep and can be muddy. Prior Park Landscape Garden click the link to find out more. I love going for long walks. These places look like great places for relaxing walks. Love the way they look. Next PostNext A cruise around the British Isles. What is bonfire night in England?